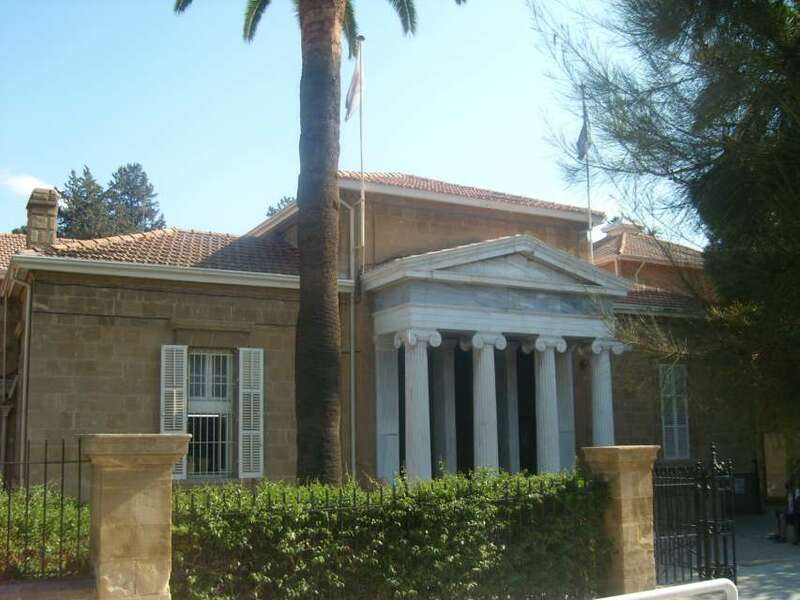 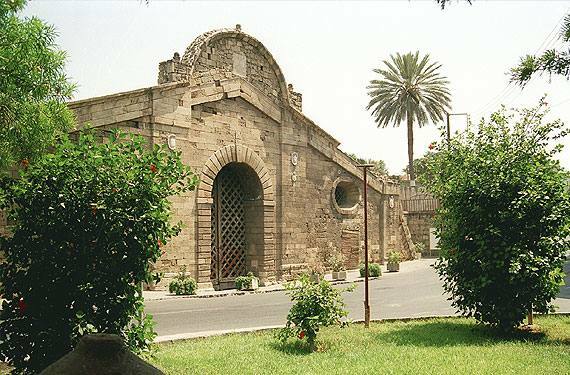 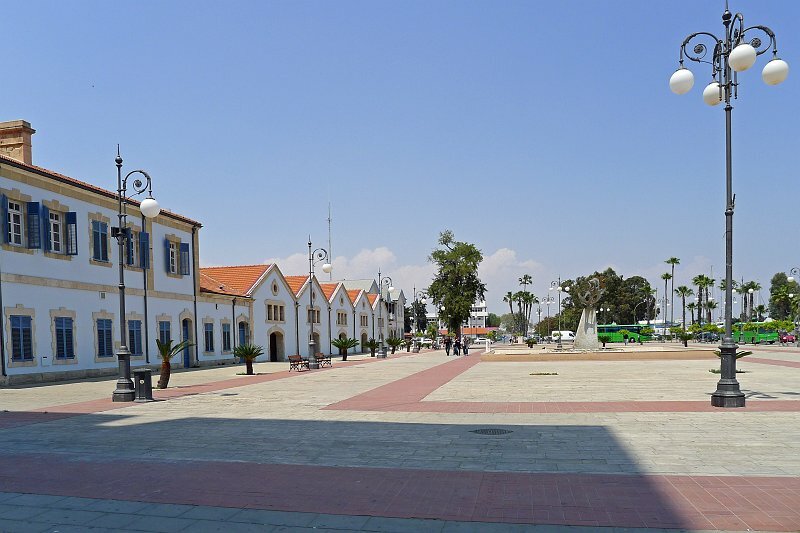 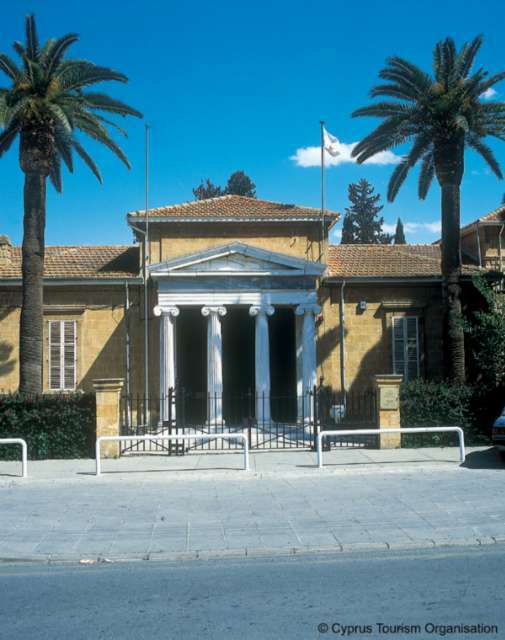 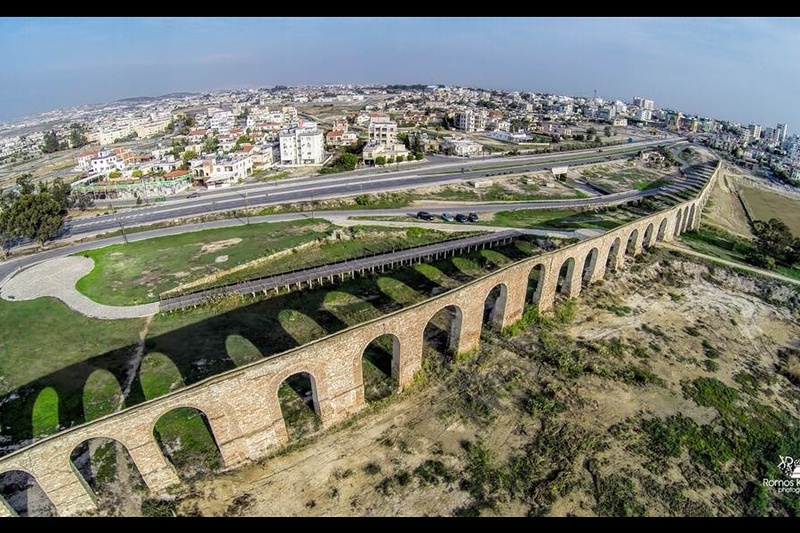 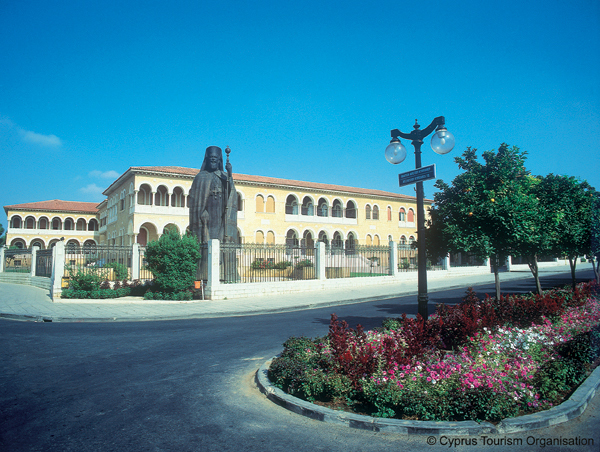 Lefkosia (Nicosia) lies roughly at the center of the island, with a rich history that can be traced back to the Bronze Age. 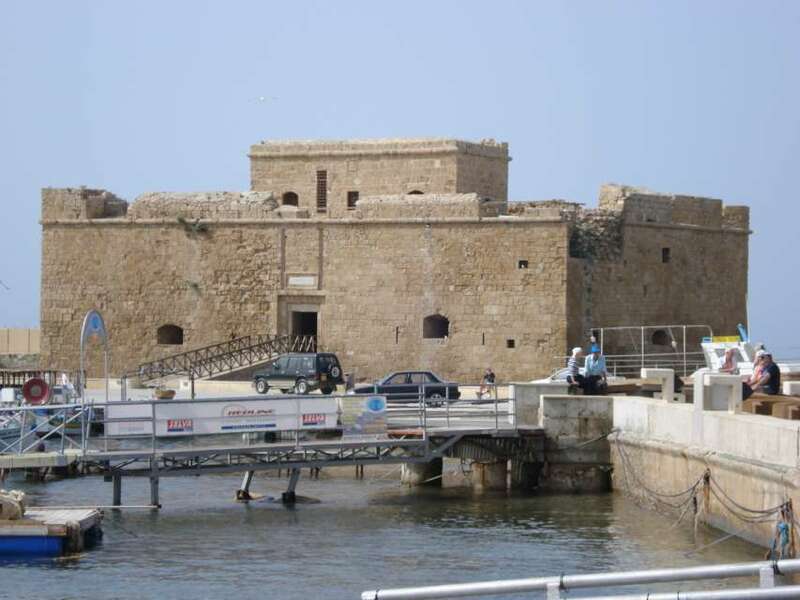 It only became capital of the island in the 11th century AD. 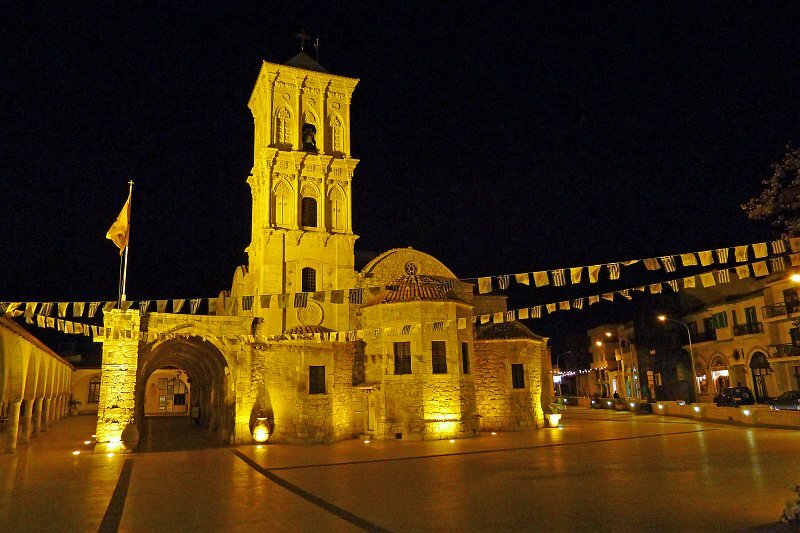 Te Lusignans turned it into a magnificent city a Royal Place and over fifty churches. 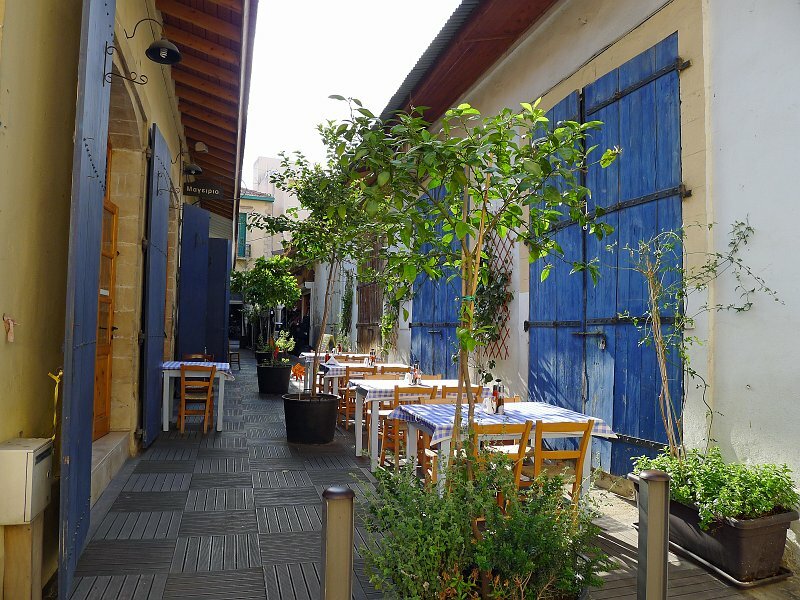 Today it blends its historic past brilliantly with the bustle of a modern city. 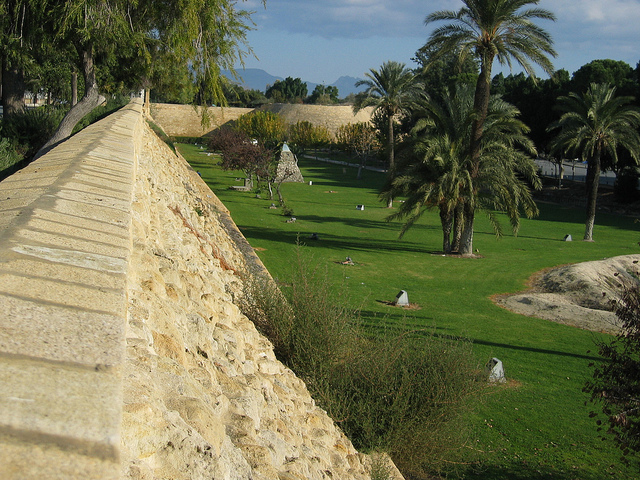 The heart of the city, enclosed by 16th century Venetian walls, is dotted with museums. 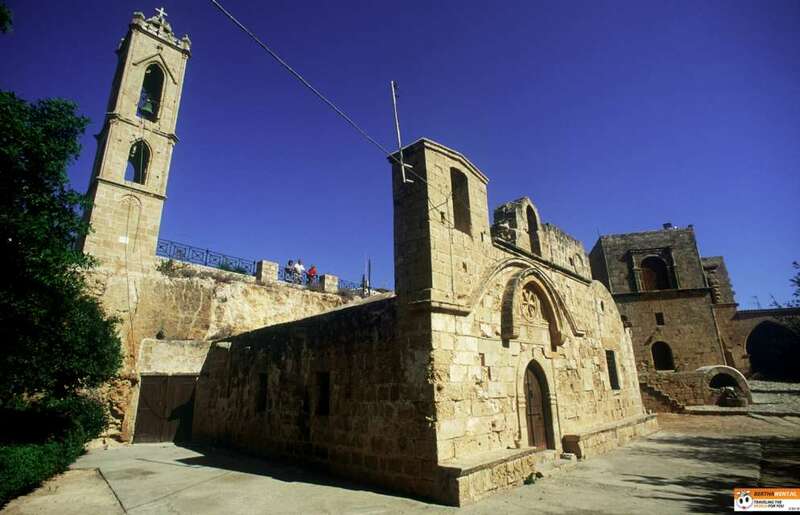 Ancient churches and medieval buildings preserving the nostalgic atmosphere of years past. 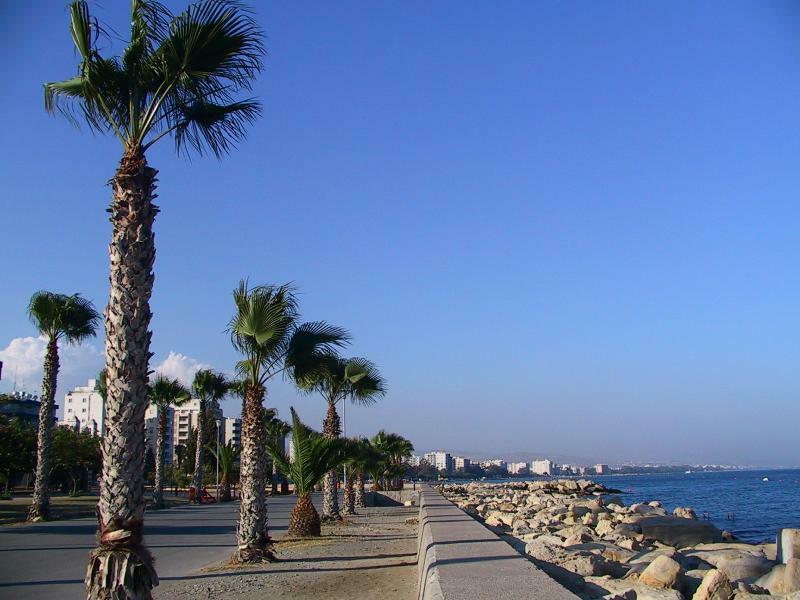 Outside the walls the new city with its modern facilities became a cosmopolitan center of a modern European capital. 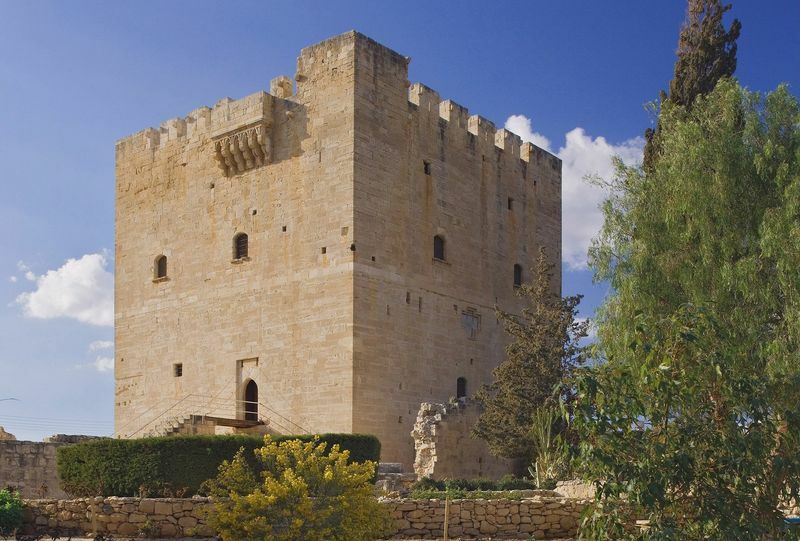 Successor to tow city-kingdoms and host to a Royal Wedding in the Middle Age, contemporary Lemesos stretches along the south cost. 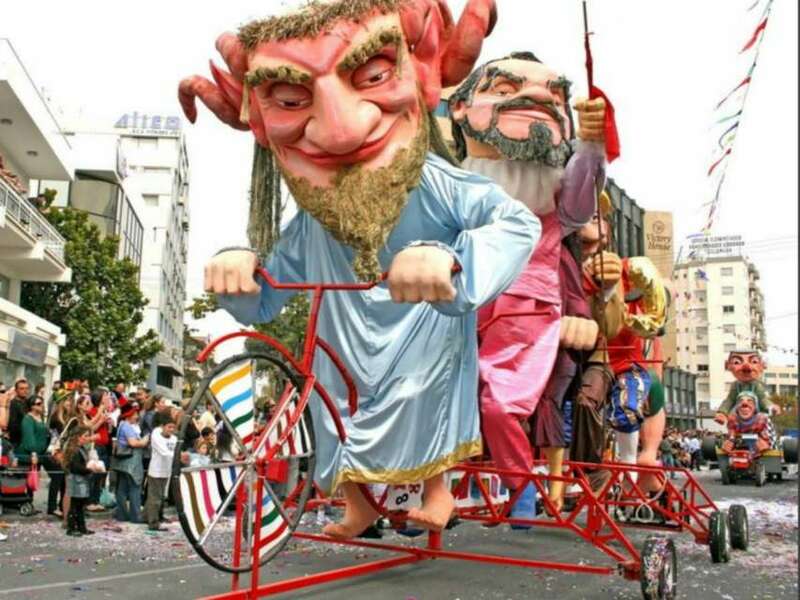 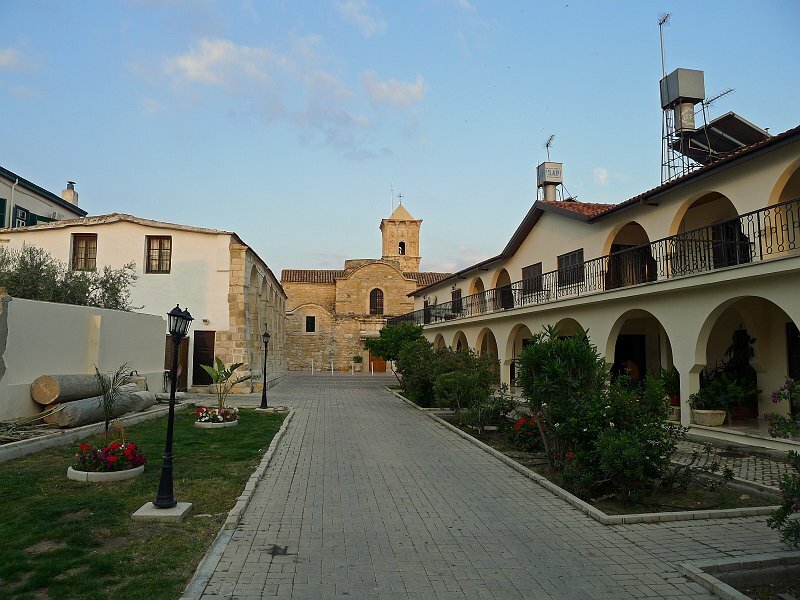 Proud of the spontaneous hospitality of its people, its archaeological sites, its mediaeval castles and its merry Carnival and Wine festival, Lemesos is the island’s most important tourist and wine industry center. 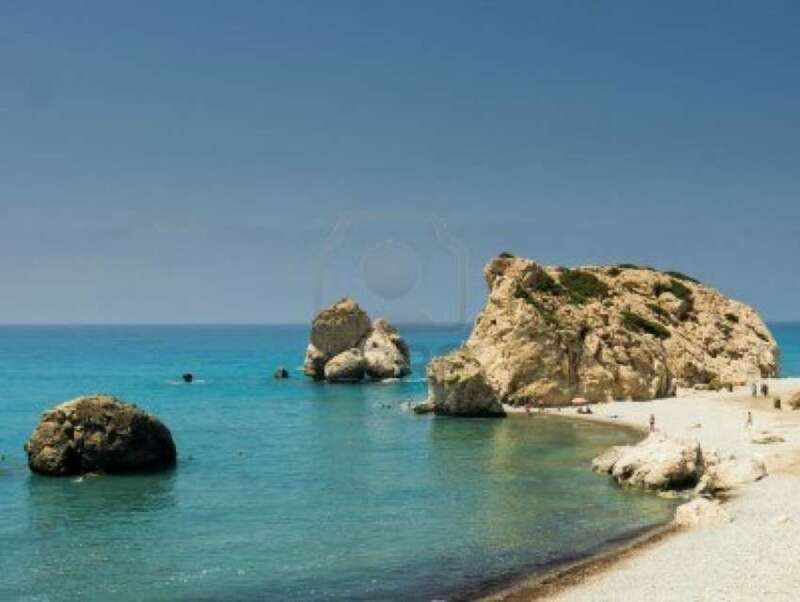 Hotels, restaurants, and night spots about along the beach whilst close by lie the pine-clad southern slopes of Troodos with the picturesque wine producing villages, the idyllic mountain resorts and the picturesque Pitsylia area. 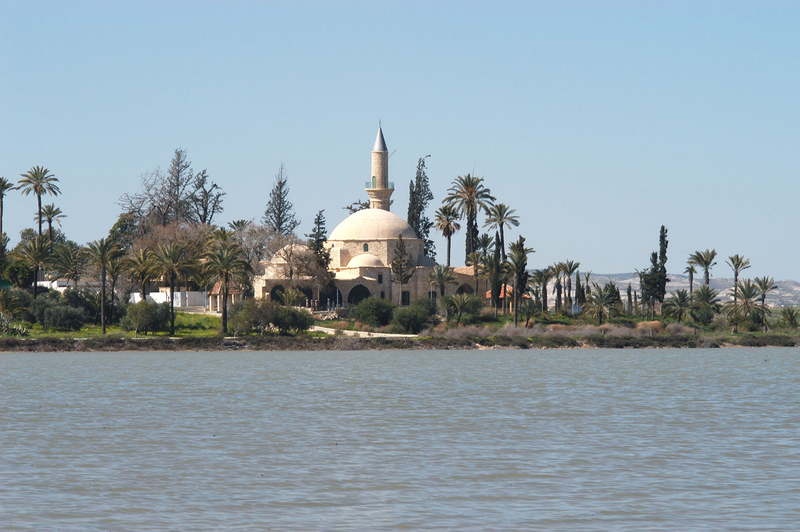 Both Christianity and Islam have important religious sites in Larnaka. 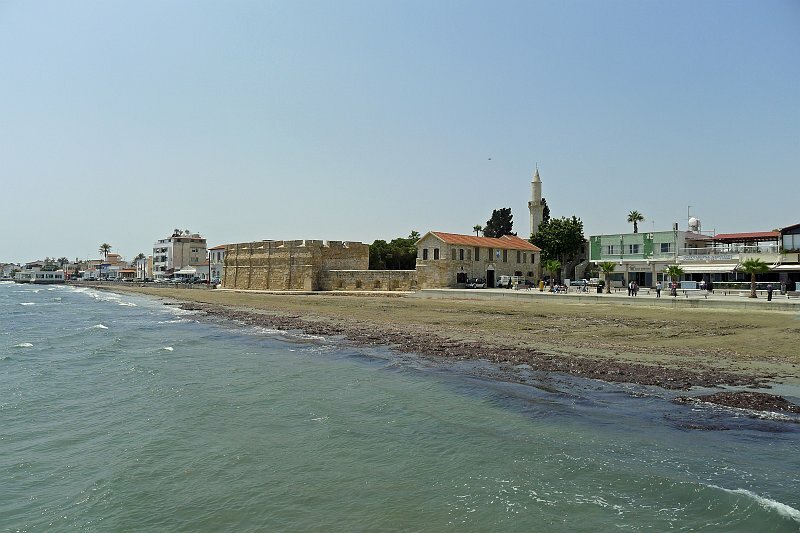 The Church of Saint Lazarus, who lived in Larnaka after his resurrection, and the Mosque of Hala Sultan – built in honour of the Prophet’s Mohammed’s aunt – are two of the main attractions of the city. 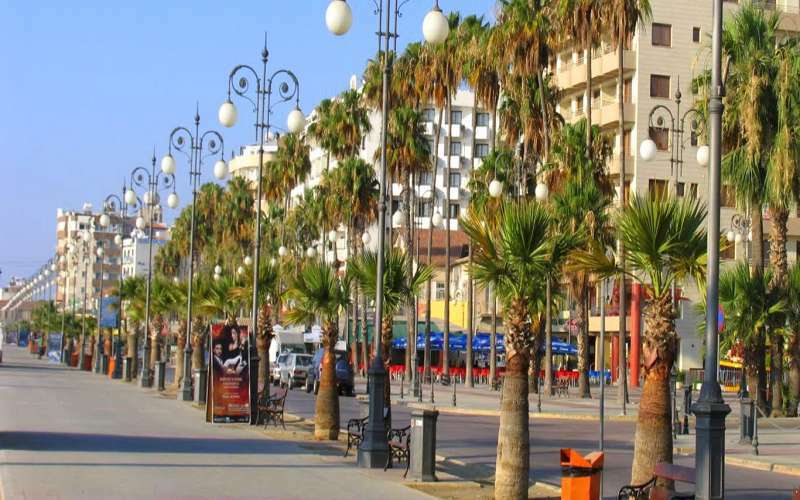 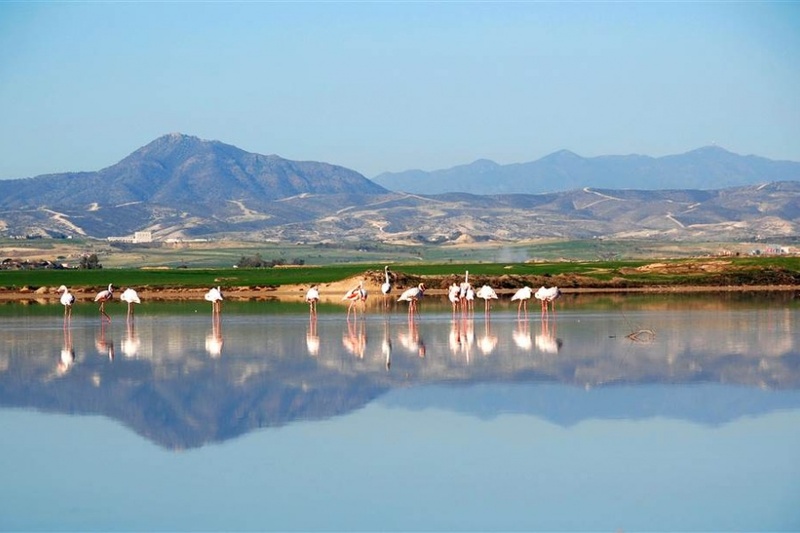 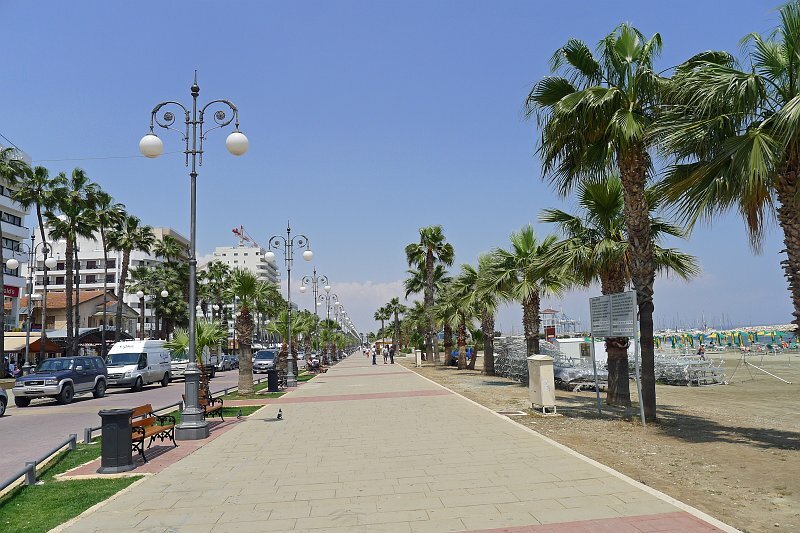 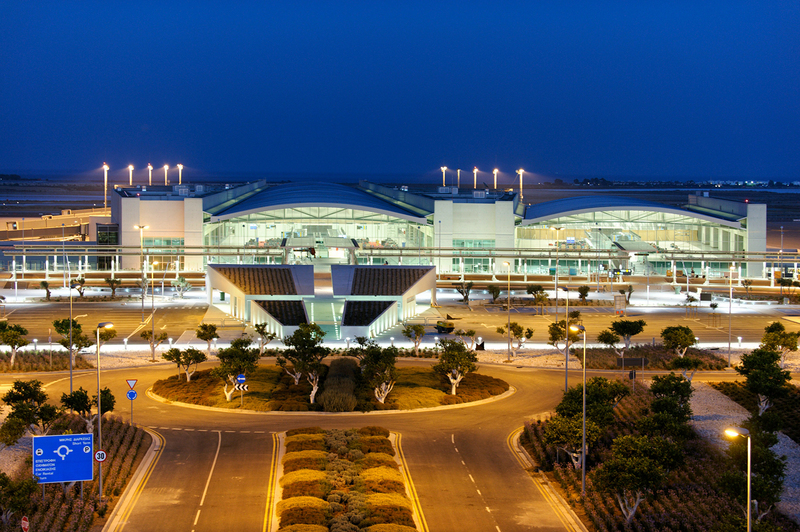 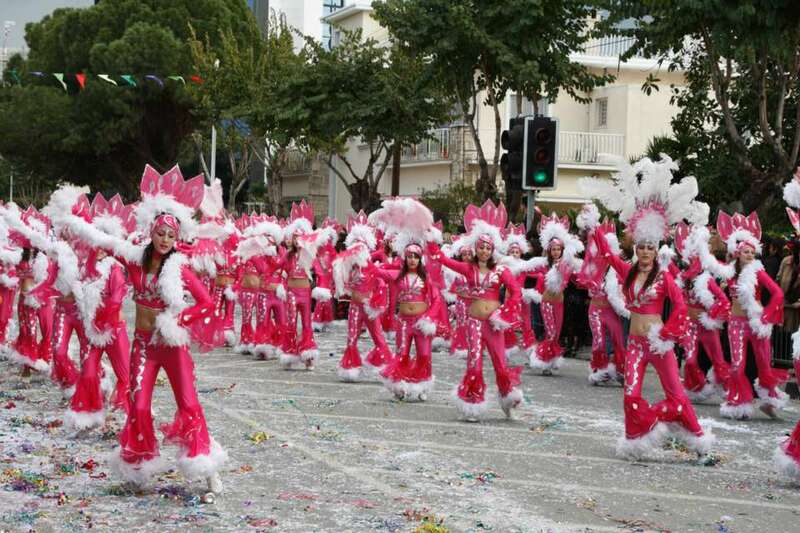 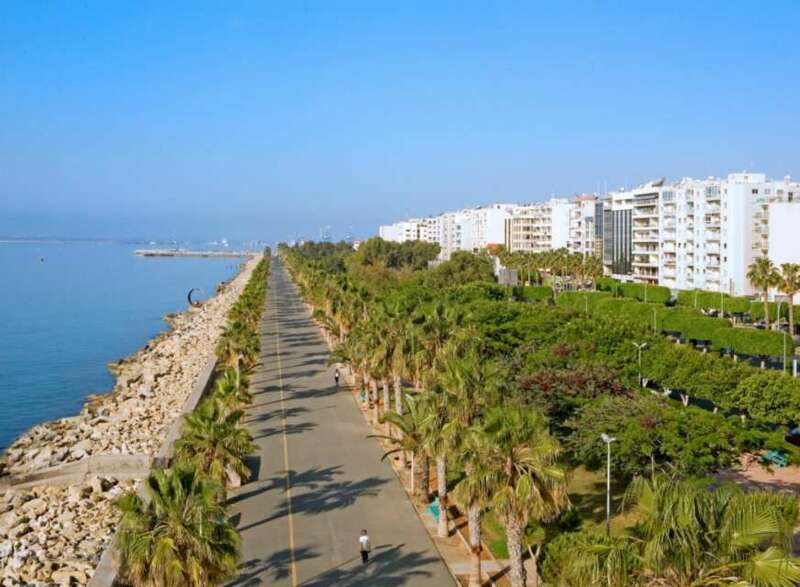 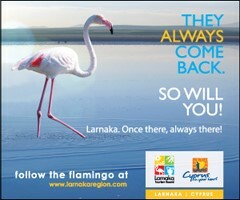 Other popular sights are the Medieval Castle, the palm tree-lined promenade of ‘Finikoudes’, and Larnaka Salt Lake, which fills with flocks of vibrant pink flamingos during the winter months. 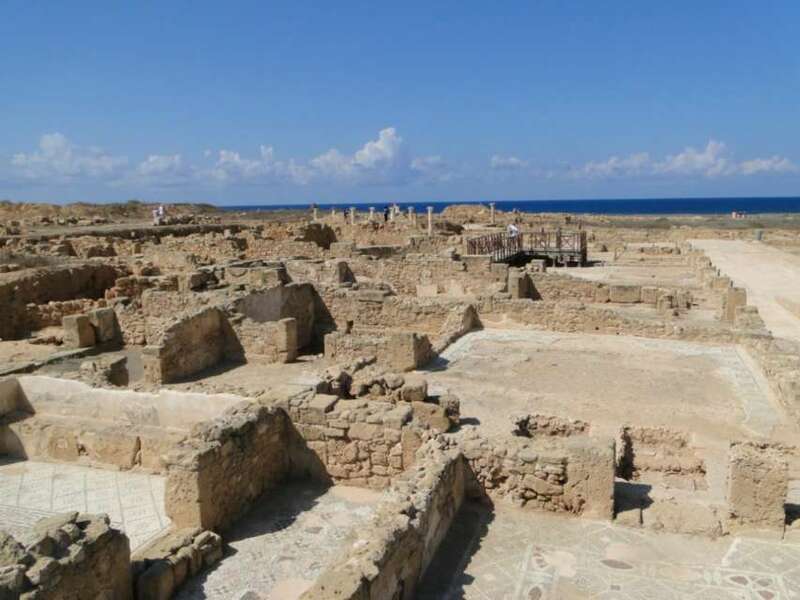 The region is also rich in significant archaeological sites, including ‘Choirokoitia’ – one of the best-preserved sites of a prehistoric settlement in the Eastern Mediterranean – and ‘Kalavasos Tenta’, located in the rural areas. 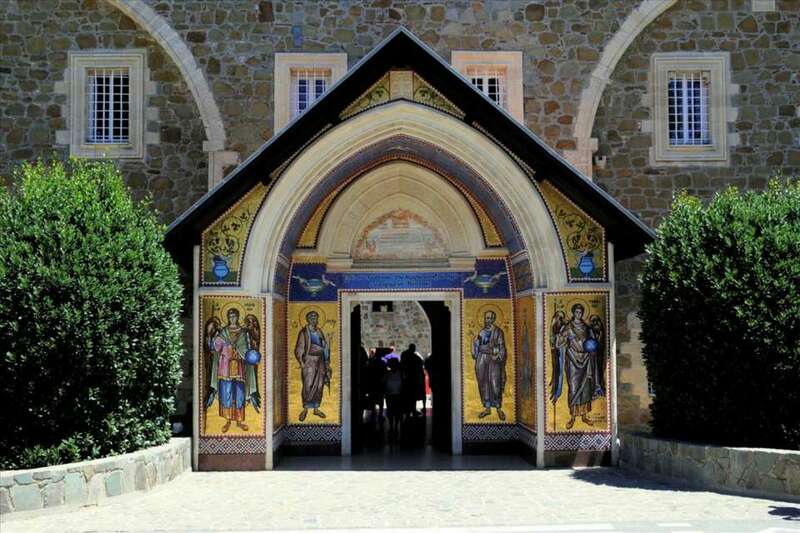 One of the finest examples of Byzantine art of the Justinian period – a rare 6th century mosaic of the Virgin and Child between two archangels – can be found in the region at Angeloktisti Church in Kiti village, whilst the solitary monastery of Stavrovouni, one of the oldest on the island, sits perched on a rocky peak with panoramic hillside views. 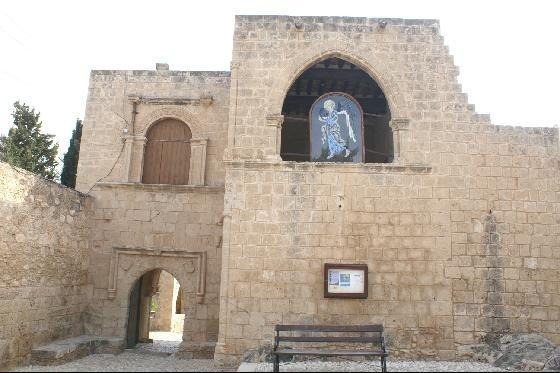 In Pyrga village, the Royal Chapel – built in 1421 by the Lusignan King Janus – is decorated with an interesting wall painting of the king and his wife, Charlotte de Bourbon. 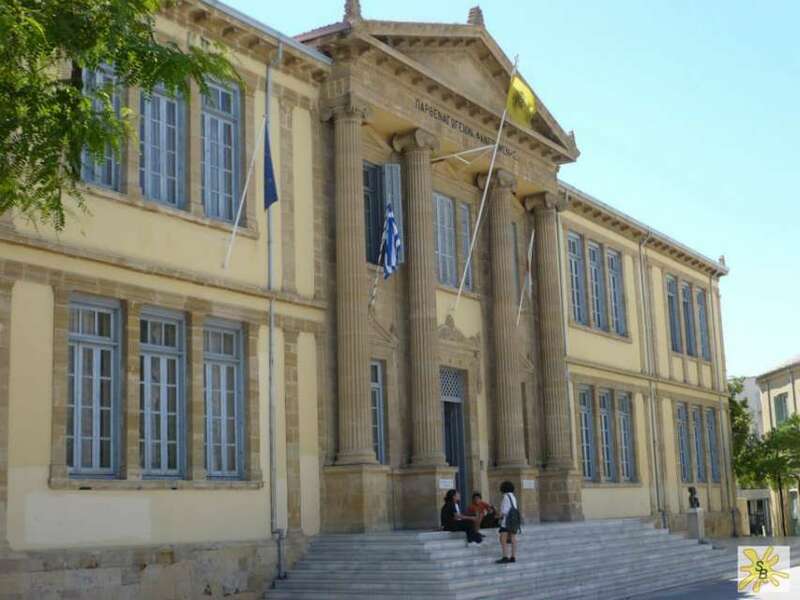 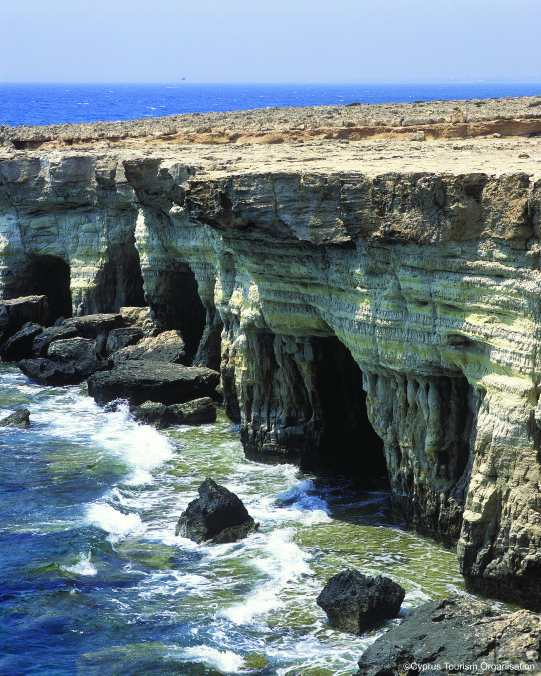 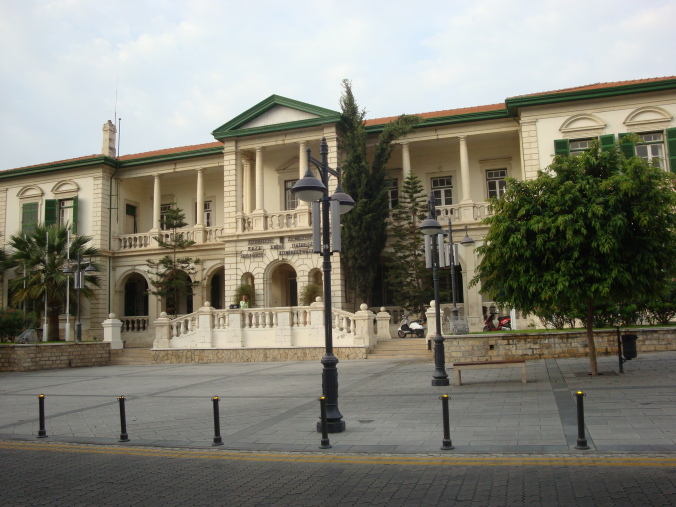 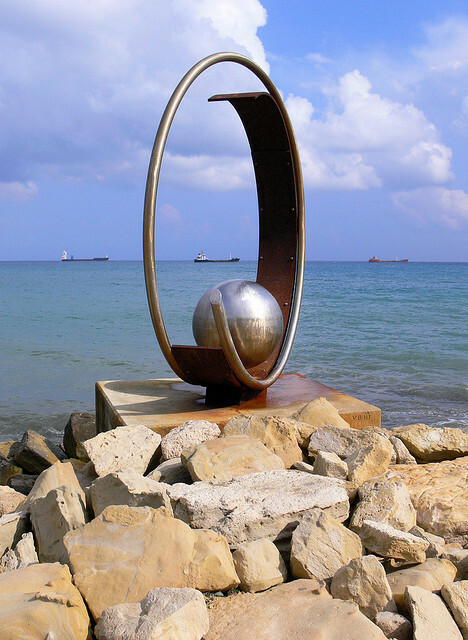 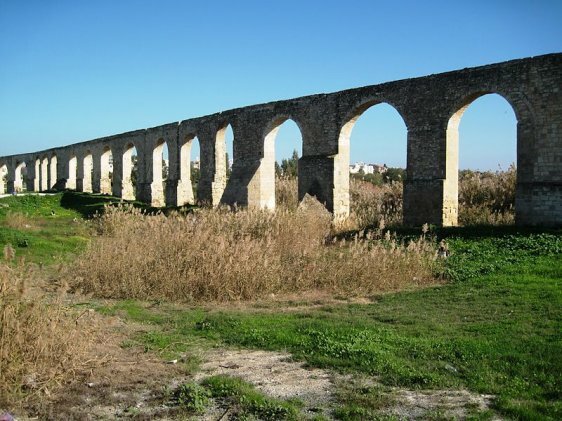 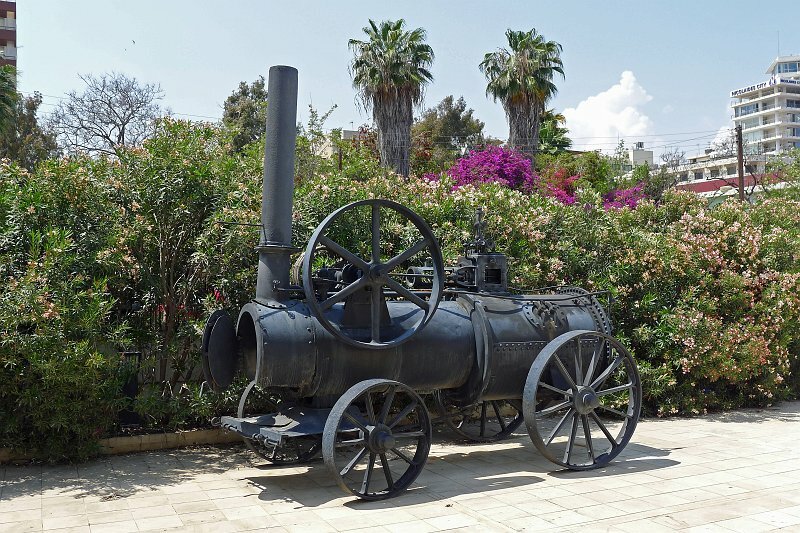 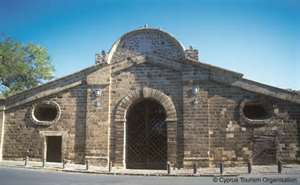 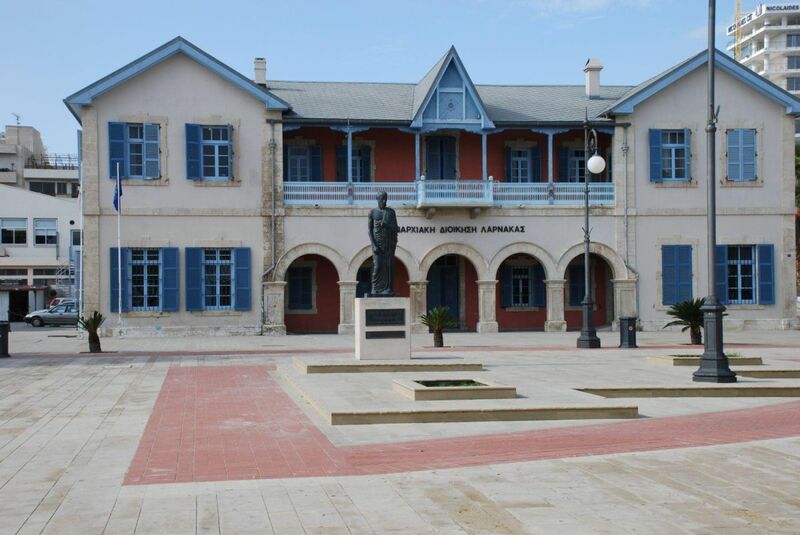 The whole town of Pafos is included in the official UNESCO list of cultural and natural tresures of the world heritage. 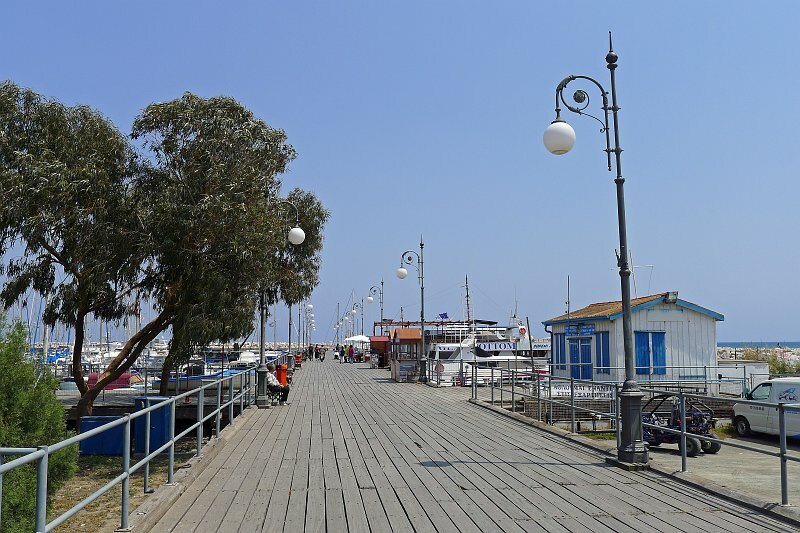 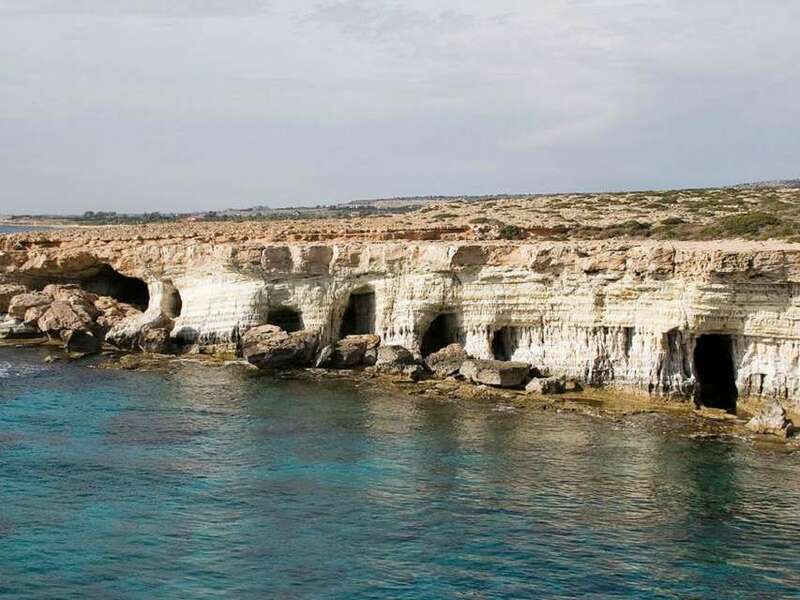 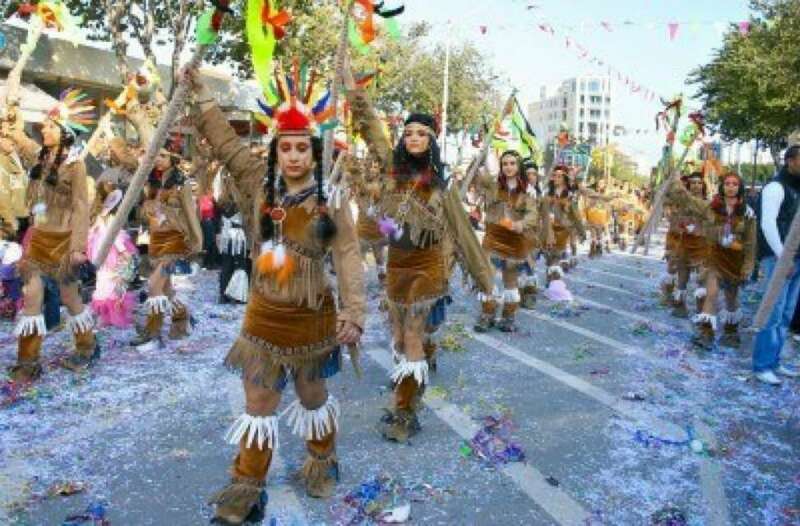 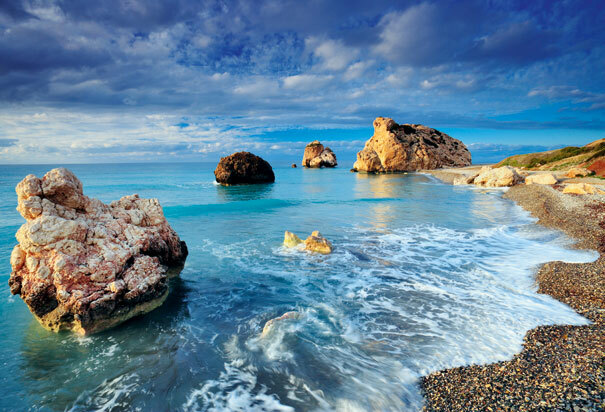 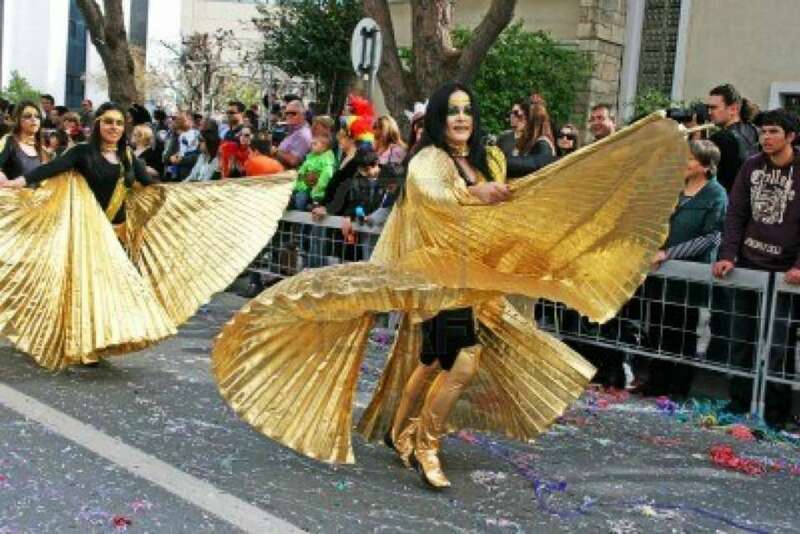 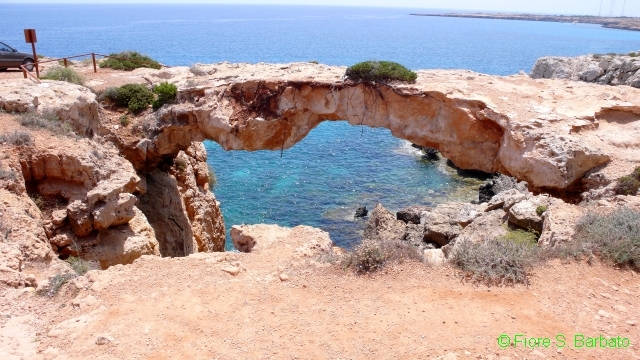 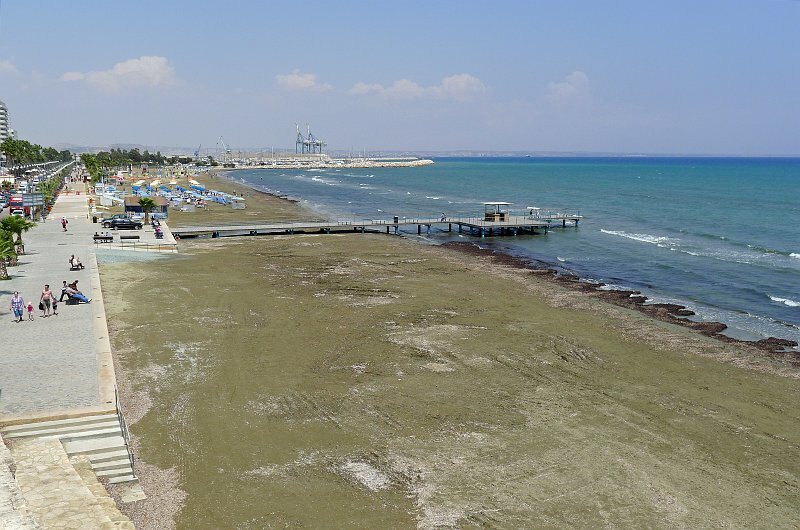 Wherever one treads in Pafos one comes across its glorious history which dates back thousands of years, when the cult of goddess Aphrodite who emerged from its seas, flourished in this beautiful part of the world attracting many visitors from inland and abroad. 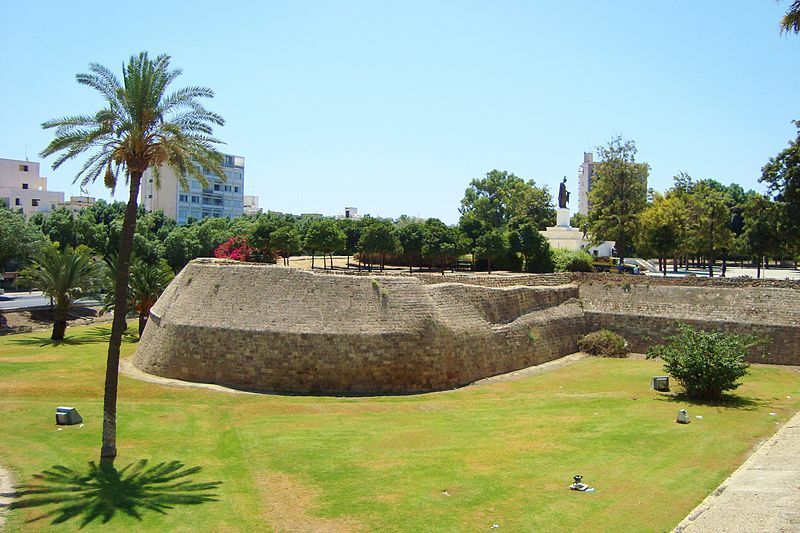 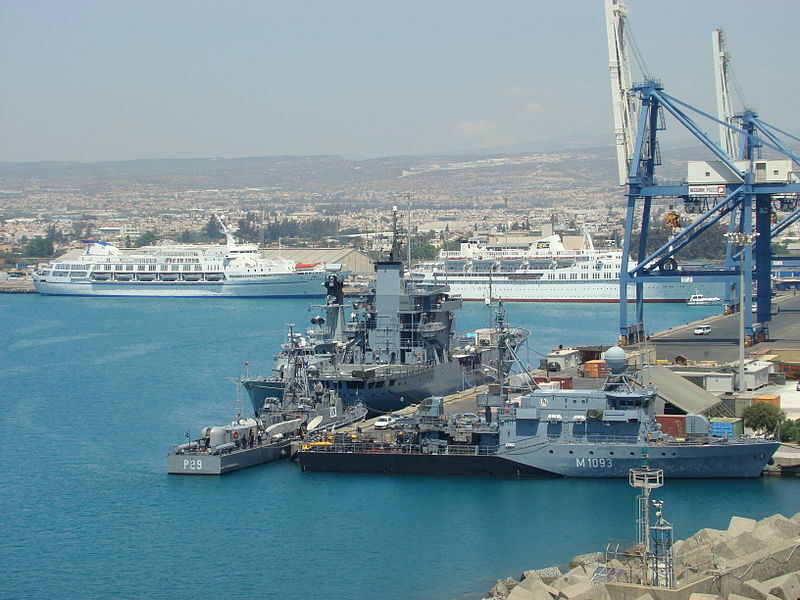 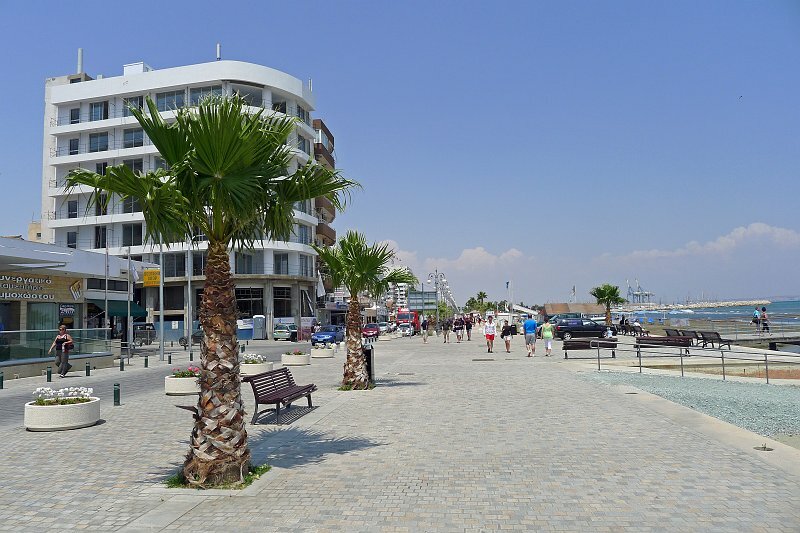 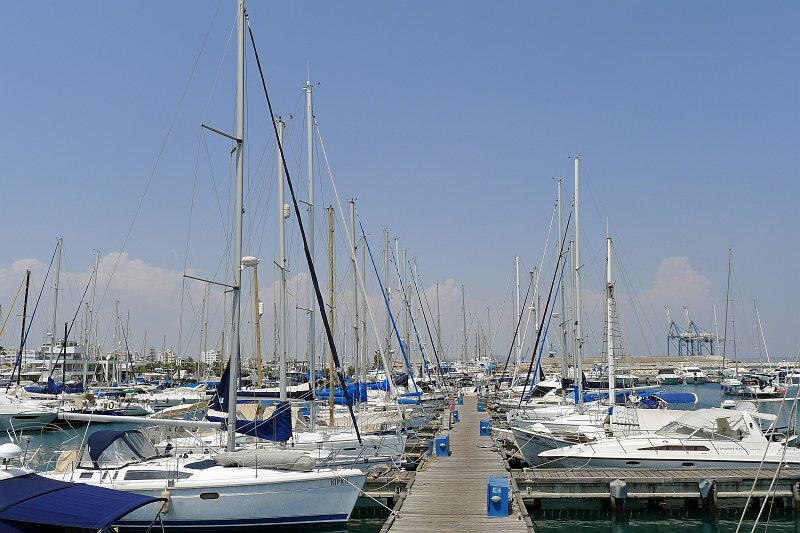 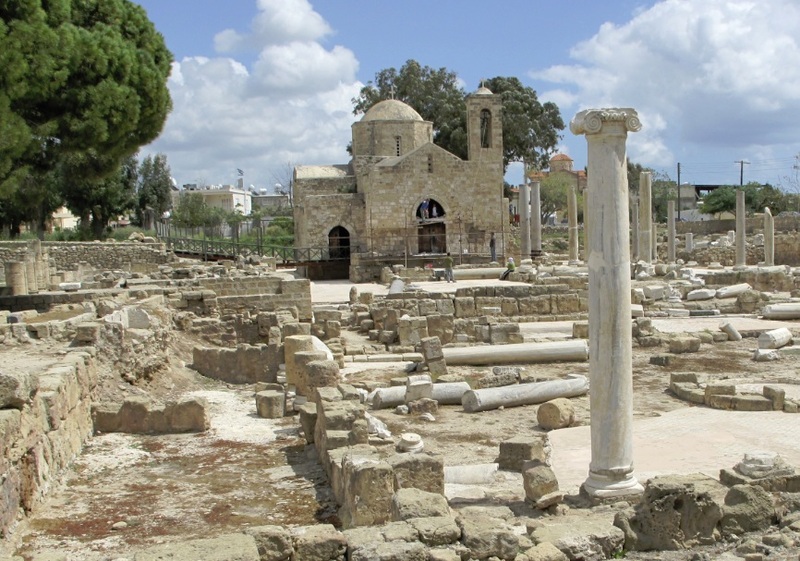 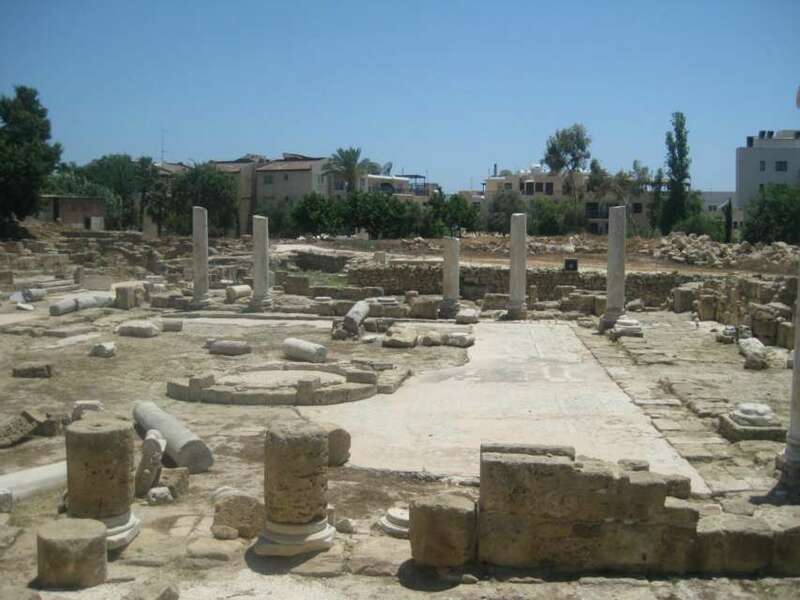 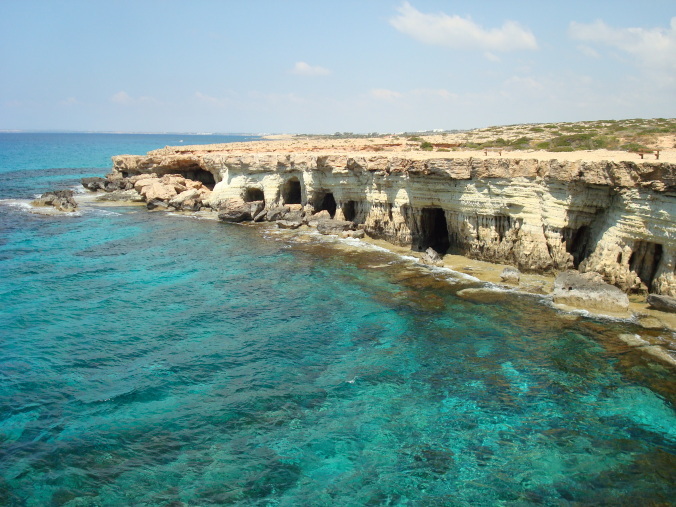 Today it is a growing harbor town, but in Hellenistic and Roman times it was the capital of Cyprus. 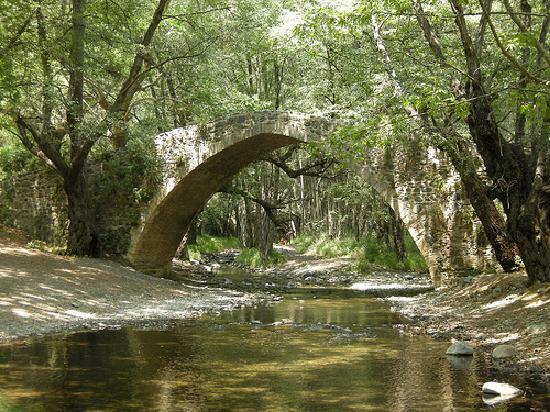 Still under the spell of her Beauty-goddess, the area retaining her magic, has remind intact by time. 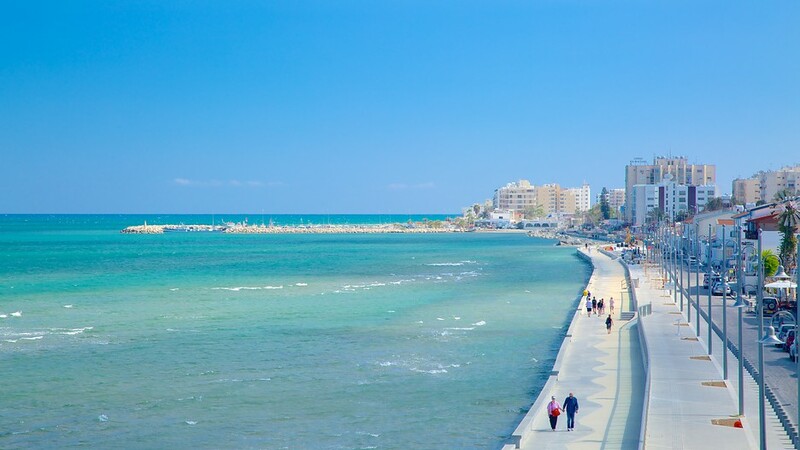 It seduces its visitor with its majestic landscape, lovely coastline, historical treasures and delightful villages where tradition is still a way of life. 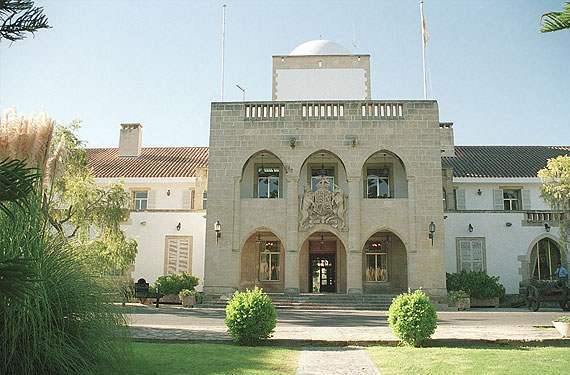 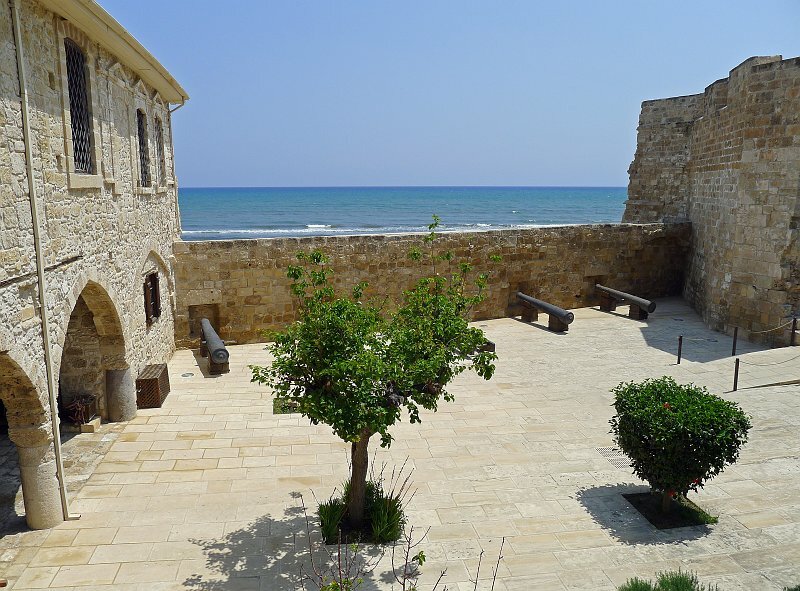 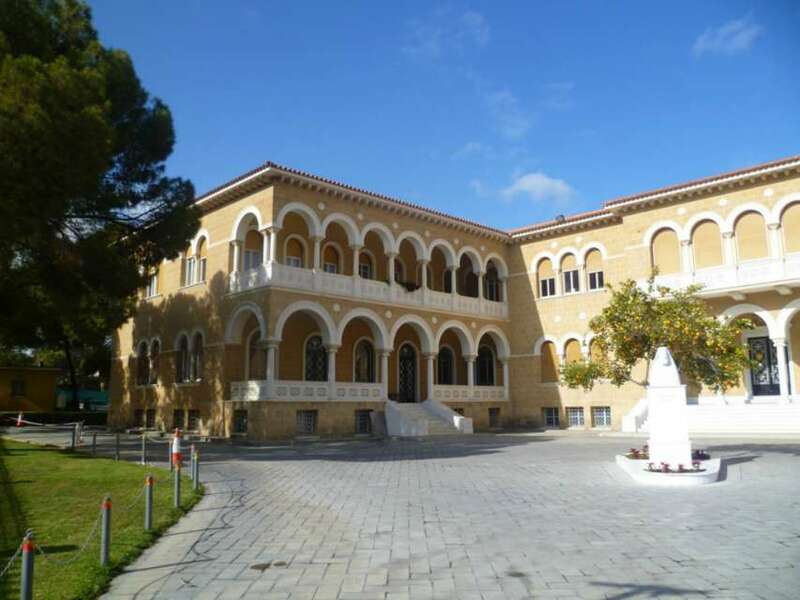 Kept in harmony with nature and divine mediaeval monasteries which lie peacefully in the Pafos heartland. 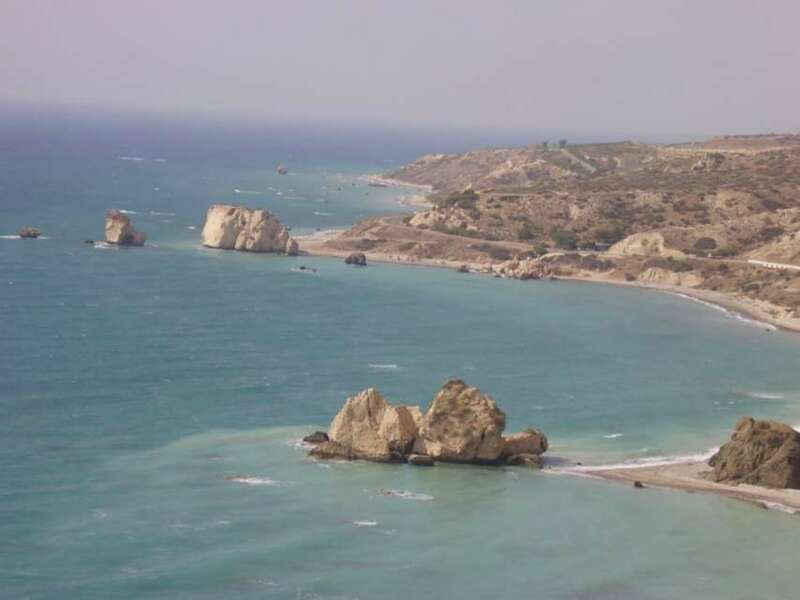 The golden sandy beaches of the free (non-occupied) Ammochostos district gently embrace the eastern corner of the island. 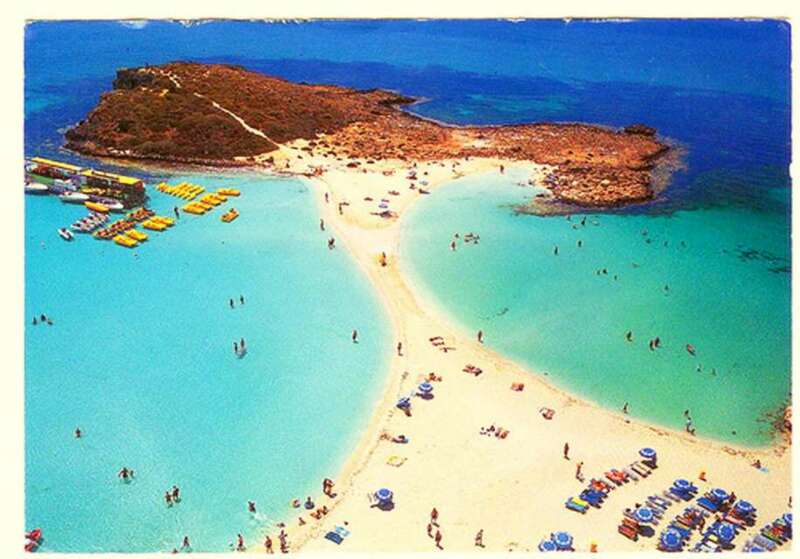 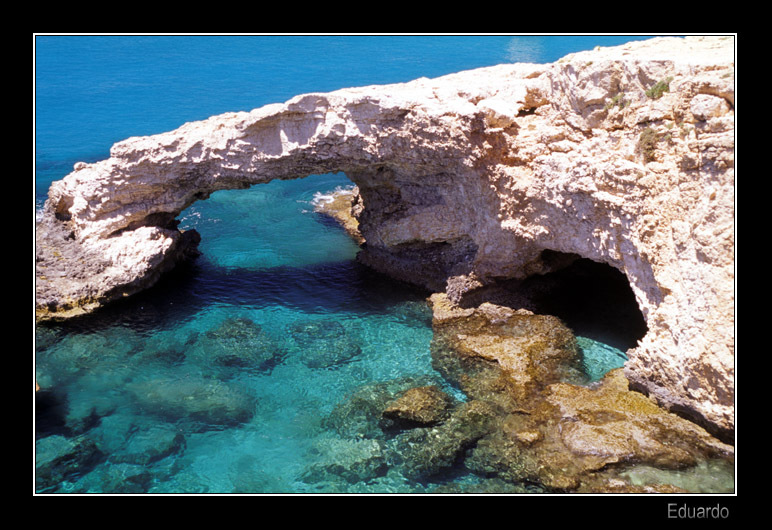 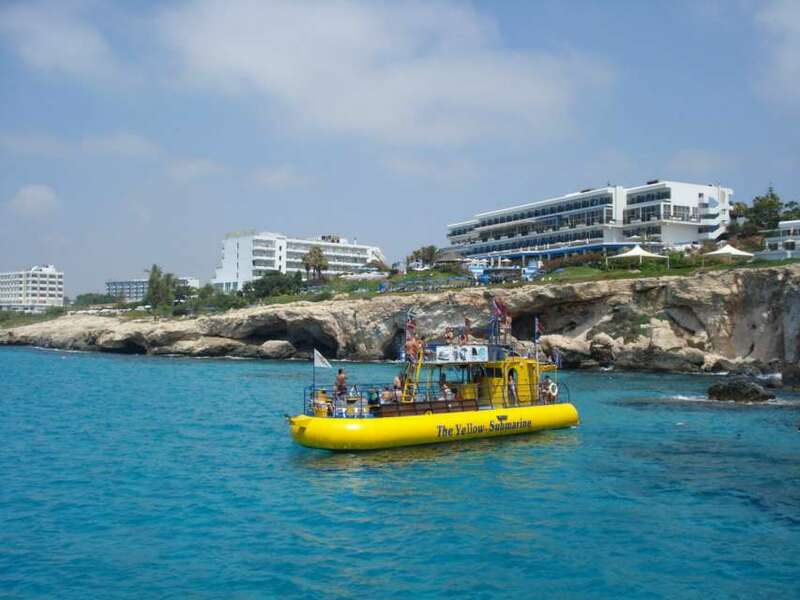 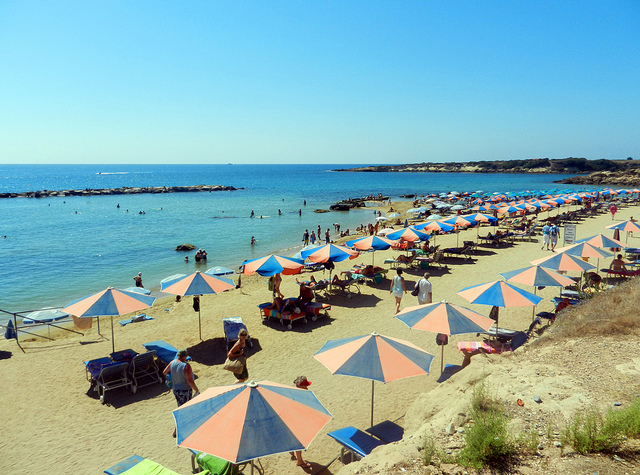 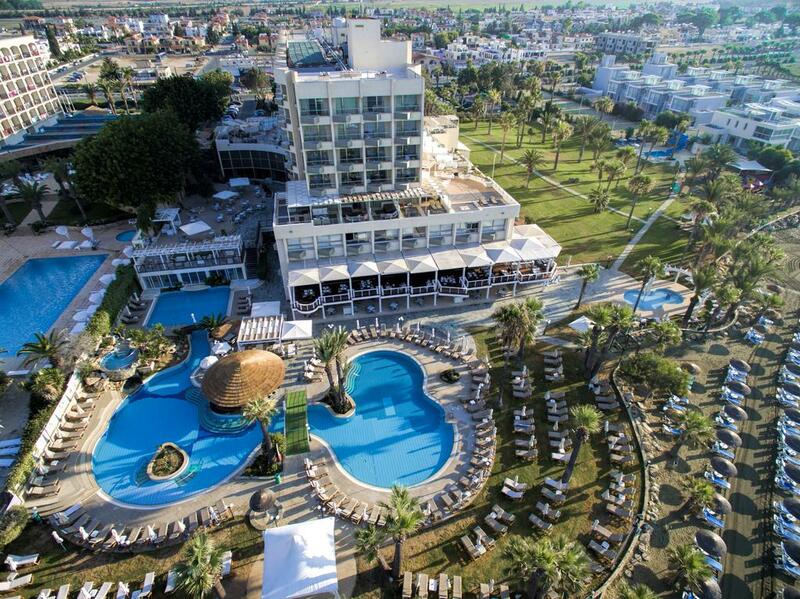 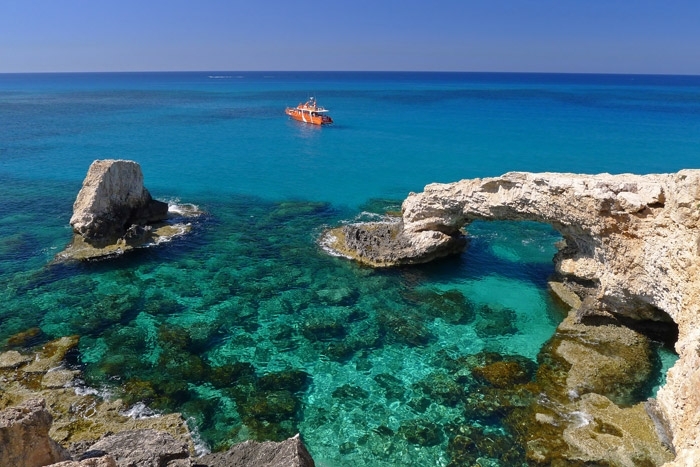 The popular holiday resort of Agia Napa and Paralimmni have been called a veritable paradise for anyone who loves the sea and water sports. 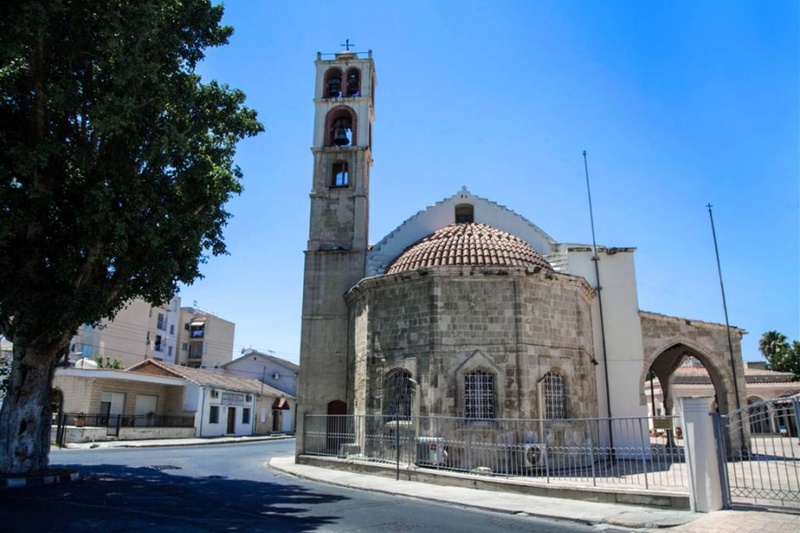 The charming scenery includes monastery at the heart of the village and the windmills and small churches in the surrounding villages which spread out to the areas of Paralimni and Protaras. 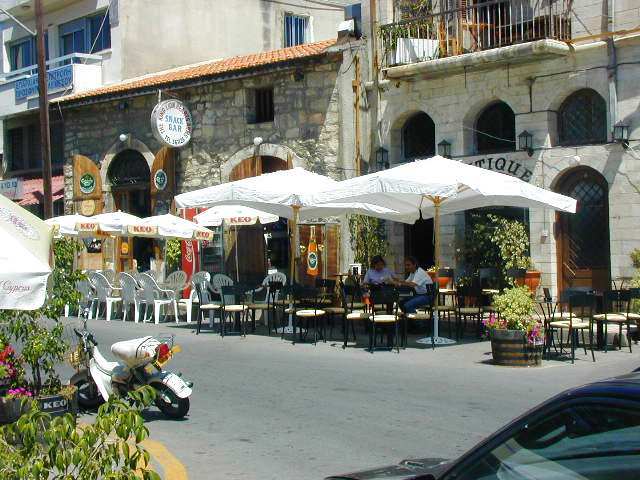 The villages of these areas are equally known for their folk poets, who are regarded ads the best on the island. 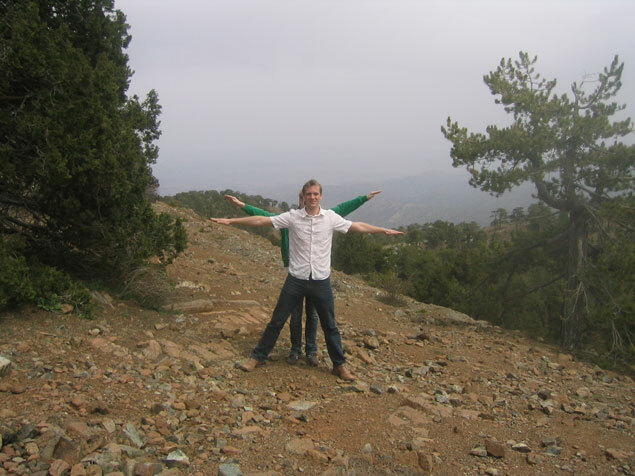 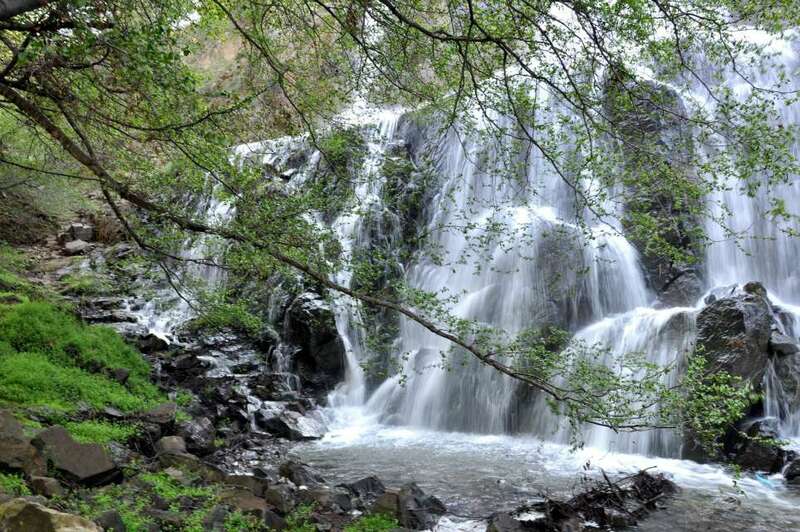 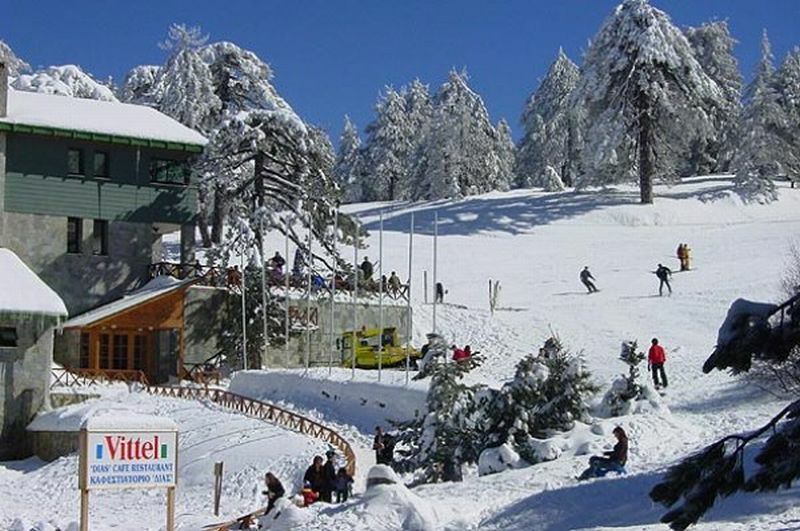 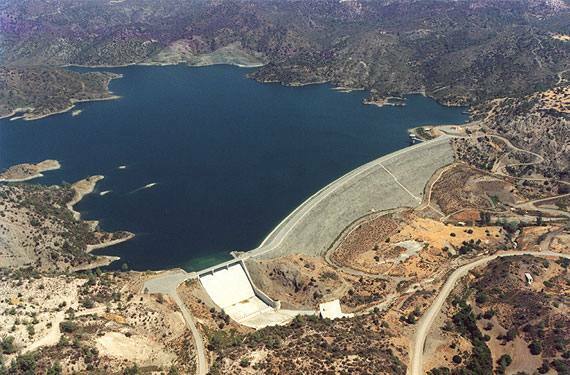 The impressive Troodos mountain range stretches across most of the western side of Cyprus, offering cool sanctuary and idyllic hours spent in the long walks in its scented pine forests in summer and winter sports and skiing in winter. 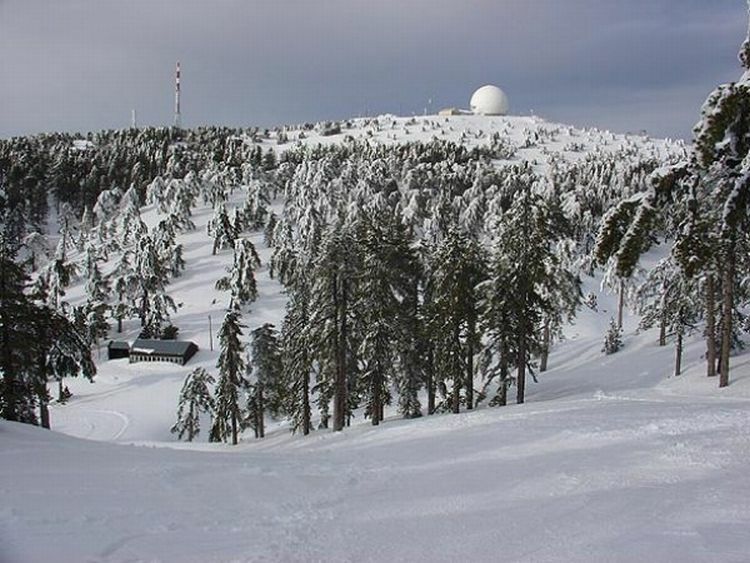 Here are the many famous mountain resorts. 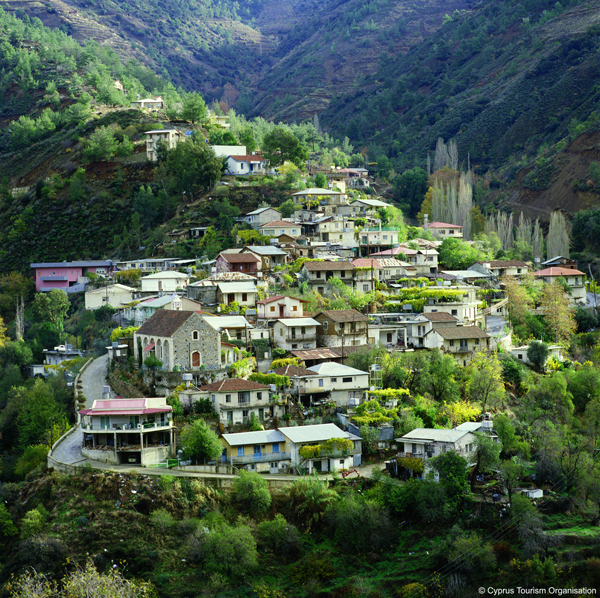 Byzantine monasteries and churches on mountain peaks, and nestling in its valleys and picturesque mountain villages clinging to terraced hill slops. 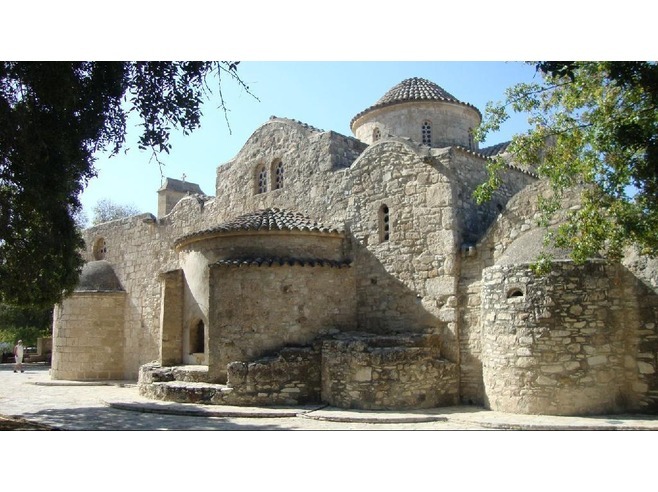 The area has been known since ancient times for its mines, and in the Byzantine period it became a great center of Byzantine art, as churches and monasteries were built in the mountains, away from the threatened coastline. 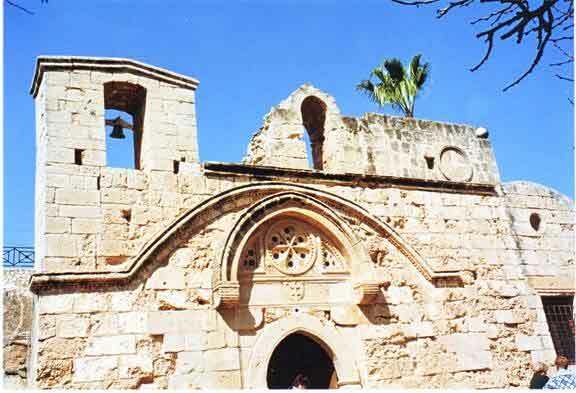 The most famous and richest monastery in Cyprus. 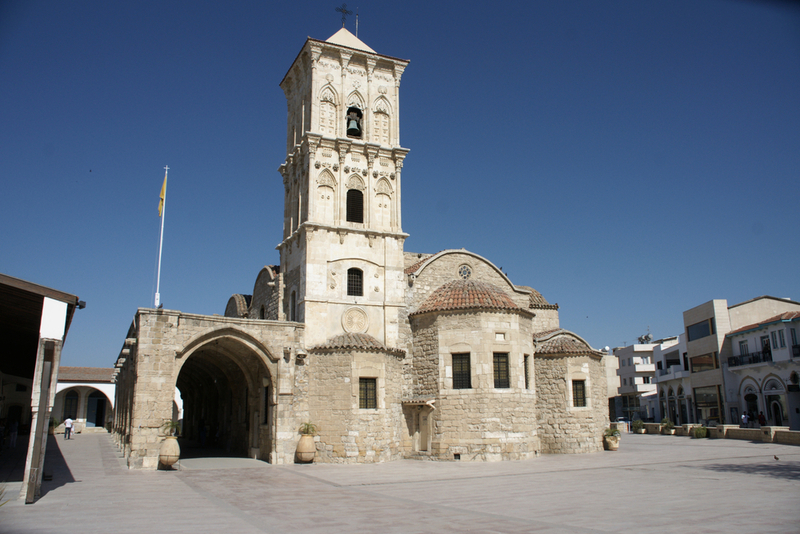 Founded in 1100 and dedicated to the Virgin Mary, it possesses one of the three surviving icons ascribed to St. Luke. 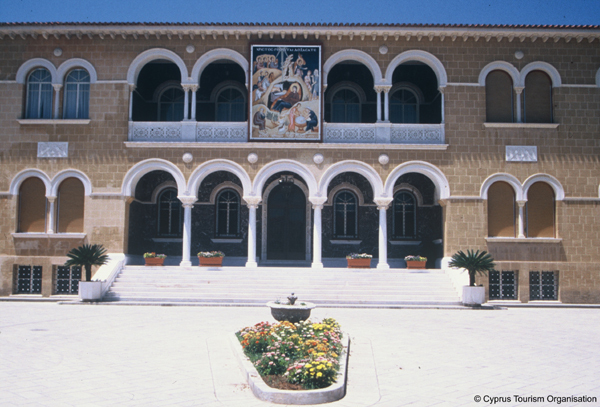 The icon, covered in silver gilt and enclosed in a shrine of tortoiseshell and mother-of-pearl, stands at the front of the iconostasis. 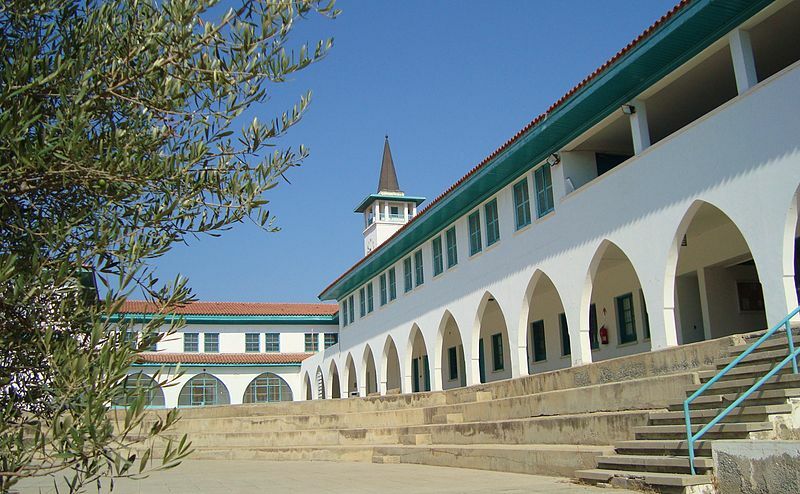 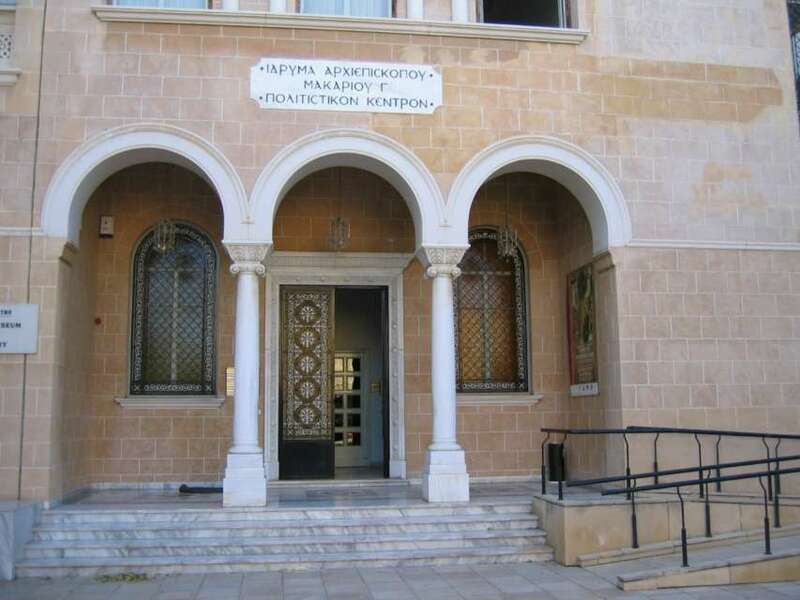 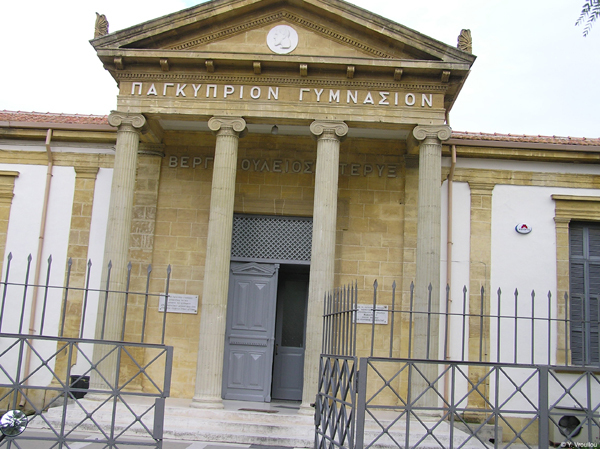 The first President of Cyprus, Archbishop Makarios III served as a novice here. 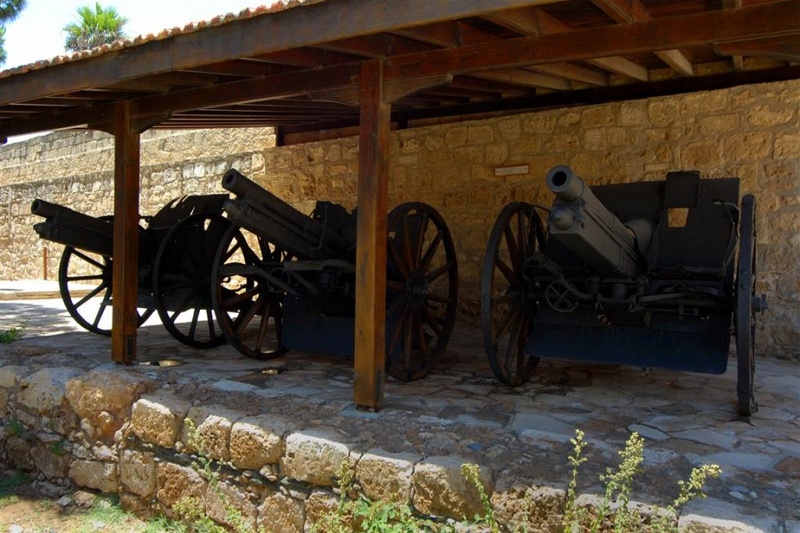 At his own wish, he was buried at Throni, 3 km west of Monastery, not far from his native village of Panayia. 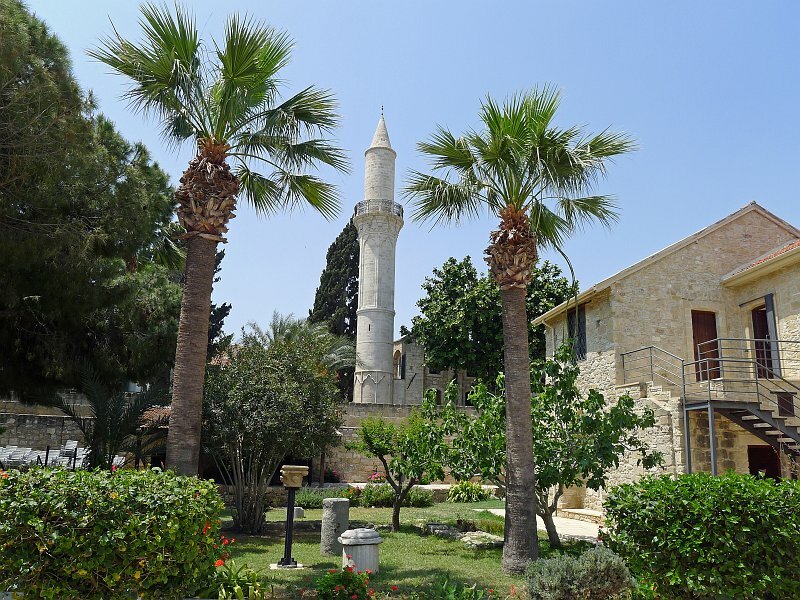 A beautiful monastery standing amid pine trees, it was originally founded in the 13th century, but the present church dates from 731. 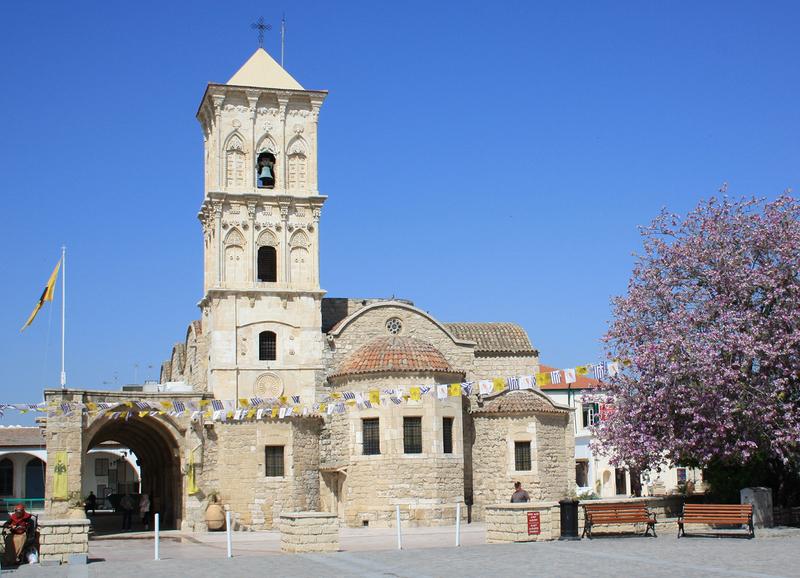 The church contains a priceless icon of the Virgin Mary brought from Asia Minor, plated with silver-gilt and many other valuable icons. 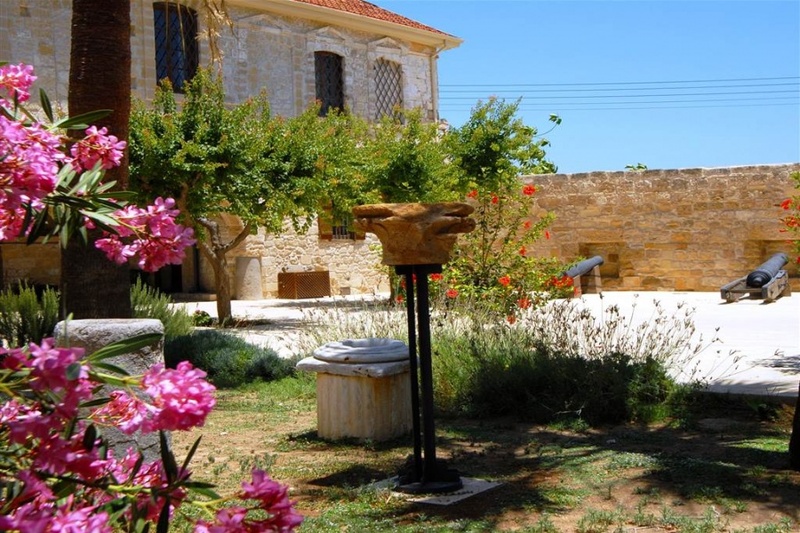 Deserted monastery near Platres in an idyllic eating, which includes a nearby waterfall!